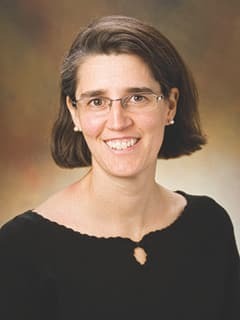 Led by Kristina A Cole, MD, PhD, researchers in the Cole Laboratory focus on identifying therapeutic vulnerabilities within molecularly defined subsets of pediatric CNS malignancies. The long-term goal of Dr. Cole’s research is to identify effective therapies and improve the cure rate of children with malignant brain tumors. CASC15-S is a tumor suppressor lncRNA at the 6p22 neuroblastoma susceptibility locus. Cancer Res. 2015 Aug 1;75(15):3155-66. Russell MR, Penikis A, Oldridge DA, Alvarez-Dominguez JR, McDaniel L, Diamond M, Padovan O, Raman P, Li Y, Wei JS, Zhang S, Gnanchandran J, Seeger R, Asgharzadeh S, Khan J, Diskin SJ, Maris JM, Cole KA. Carboplatin rechallenge after hypersensitivity reactions in pediatric patients with low-grade glioma. Pediatr Blood Cancer. 2016 Jan;63(1):21-6. Shah AC, Minturn JE, Li Y, Belasco JB, Phillips PC, Kang TI1, Cole KA, Waanders AJ, Pollack R, Didomenico C, Wildes C, Fisher MJ. Chk1 targeting reactivates PP2A tumor suppressor activity in cancer cells. Cancer Res. 2013 Nov 15;73(22):6757-69. Khanna A, Kauko O, Böckelman C, Laine A, Schreck I, Partanen JI, Szwajda A, Bormann S, Bilgen T, Helenius M, Pokharel YR, Pimanda J, Russel MR, Haglund C, Cole KA, Klefström J, Aittokallio T, Weiss C, Ristimäki A, Visakorpi T, Westermarck J.